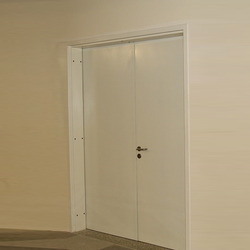 Pioneers in the industry, we offer acoustic resistant doors, sound proof doors, acoustical doors, steel acoustic doors and acoustic fire proof door from India. We are the leading supplier of Acoustic Resistant Doors that are majorly used at concert halls, Cinema halls, Sports hall and in Music practice rooms. 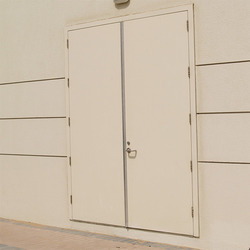 We are the leading supplier of Sound Proof Door that is majorly used at concert halls, Cinema halls, Sports hall and in Music practice rooms. 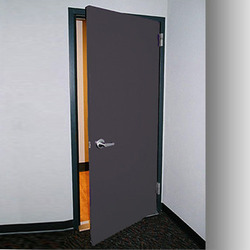 We are the leading supplier of Acoustical Doors that are majorly used at concert halls, Cinema halls, Sports hall and in Music practice rooms. We offer a range of Steel Acoustic Doors manufactured in steel, single or double leaf and giving excellent noise suppression in new build or refurbishment projects. 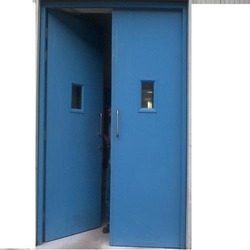 We are the leading supplier of Acoustic Fire Proof Doors that are majorly used at concert halls, Cinema halls, Sports hall and in Music practice rooms. Optimum sound suppression, Durable, Reliable, High quality. 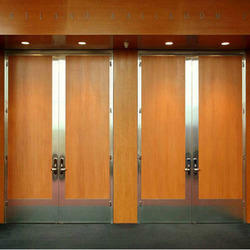 Looking for Acoustic And Sound Proof Doors ?